Which NYC Borough has the Cheapest Car Insurance Rates? With more than 8 million people calling New York City home, the Big Apple is the most populated city in the United States. It’s also one of the most expensive cities in the country. Whether you live in Manhattan, the heart of the Big Apple, or you reside in one of the other boroughs – Brooklyn, Queens, the Bronx, or Staten Island – you can expect to pay a lot more for most things than people who reside anywhere else in the country; including your car insurance. A lot of New York City residents choose not to own a car; after all, there are so many different forms of mass transit available here. But, having a car can certainly make getting around a lot easier, especially if you live outside of Manhattan, the heart of New York, where public transportation is most widely available; however, even if you live in central borough, having a car can make life a lot more convenient. Given the high cost of living in the Big Apple, a lot of people wonder how much they can expect to pay for their car insurance coverage. The cost of auto insurance depends on which borough you live in. Why? – Because there are a lot of factors that are taken into consideration when determining the rates of auto insurance for specific geographic areas, such as the population, how many vehicles are on the road, parking, traffic conditions, and so on. With all of that said, which borough can you expect to pay the least for auto insurance? Below, you’ll find a comparison of auto insurance rates in each of the five boroughs so you can see what the average cost of coverage is in each location. Of all the five boroughs, residents of Brooklyn can expect to pay the highest rates for auto insurance coverage. In fact, they pay about 141 percent more than any other driver in the state, with an average policy costing more than $3,000 a year. There are a number of factors that likely contribute to the high cost of coverage here, including the population of the borough (more than 2.6 million people call Brooklyn home, making it the most populate of all five boroughs) and the number of people who commute to and from Brooklyn to work, which significantly increases traffic volume. In Queens, the average cost of a car insurance policy is about 107 percent higher than the average cost of a policy in the whole of New York State. The average cost for premiums is nearly $3,000, which makes Queens the second most expensive borough for auto insurance coverage. Again, the population of Queens (it’s the second most populated New York City borough) coupled with the fact that almost half of the motorists here commute, are likely factors that contribute to the high cost of auto insurance. The cost of auto insurance coverage in The Bronx is less than the average in Brooklyn and Queens; however, motorists can still expect to pay about 100 percent higher than the average cost of a policy in Empire State. The same factors that contribute to the high rates in Brooklyn and Queens are more than likely responsible for rates that are higher than the state average; however, because it is less populated and less people commute here, drivers pay less than the aforementioned boroughs. In Manhattan, the heart of New York City, drivers actually pay more affordable rates than you might think, with the average premiums costing around $2,600; nevertheless, the rates are still 83 percent higher than the average premiums in New York State. Though Manhattan is the most populated of all five boroughs, the fact that most residents and workers rely on public transportation is likely the reason why rates are lower here. Staten Island has the smallest population density of all five boroughs, however, most of the people who live here do commute to work; hence the reason why the average rate for auto insurance coverage is about 77 percent higher than the rest of the state. 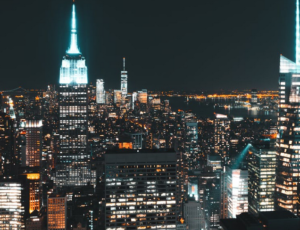 Nevertheless, the cost of coverage here is less than anywhere else in the city, with the average policy costing around $2,500 annually, which is about 14 percent lower than the average cost for coverage in all of New York City. The fact that Staten Island is the least populated of all five boroughs is likely the reason why auto insurance is less expensive here. To summarize, of all five boroughs of New York City, the residents of Staten Island pay the least for their annual auto insurance premiums, while the residents of Brooklyn pay the most. There several variables that will affect how much each individual policy will cost, such as your driving record, age, the make and model of your car, how often you drive, and so forth. However, if you are looking for the least expensive place to insure a car in New York City, Staten Island is where you want to be.